Turn your zucchini into pasta. 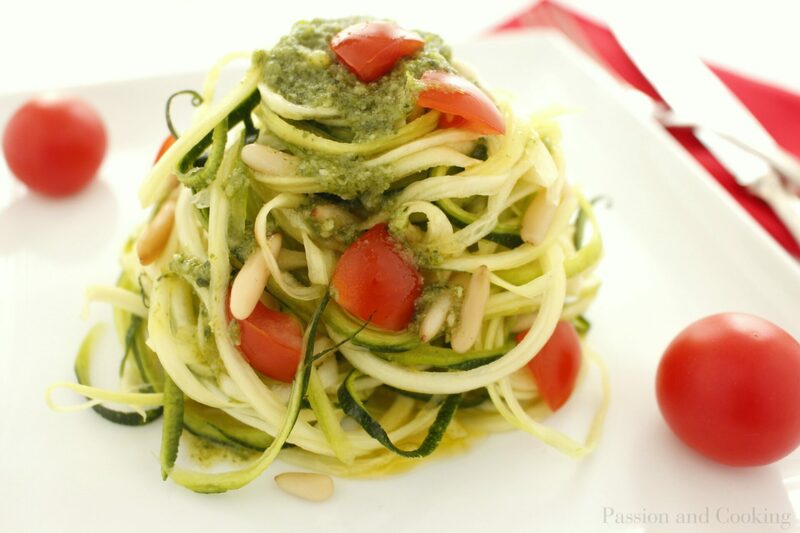 Here is the recipe for raw zucchini spaghetti, a low-carb and gluten free recipe. These noodles – or better “zoodles” – are a light version of the traditional semolina spaghetti. An excellent summertime dish, it is re-hydrating and refreshing and is prepared with seasonal ingredients such as zucchini, tomatoes and basil. Zucchini are vegetables rich in water (about 90%, for more info about zucchini click on zucchine ripiene alla ligure), therefore very good for you during this hot season. Their delicate flavor goes well with the more definite and fragrant taste of pesto (see homemade pesto in lasagne al pesto). The addition of tomatoes gives a colorful and tasty touch to the dish. The preparation is very easy and fast, no cooking is involved. I recommend to use a spiral vegetable cutter to prepare the zucchini, it works like a pencil sharpener. In a few minutes you can prepare large quantities of spaghetti. 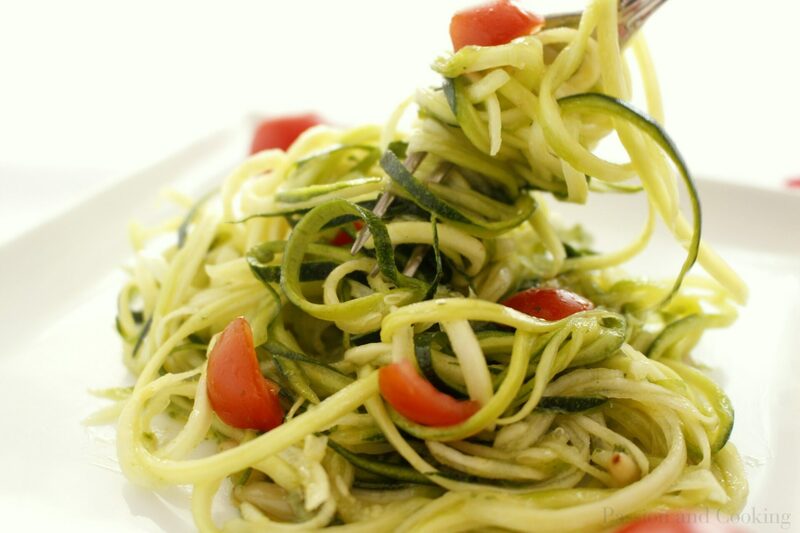 Once prepared the spaghetti should be served immediately because, as zucchini are very rich in water, they lose their freshness. You can enjoy it as a first course or main course served with some fresh cheese, a delicious vegetarian meal.